In California the dice alone may not determine the outcome in craps. So a combination of dice and playing cards, or cards alone, are used. There are numerous ways this is done. Here are some methods I am aware of. Twelve cards are used, an ace through six from two separate decks, with different color back sides. The cards will be shuffled and spread across the table face down. The first card of each color from one end shall be used to represent the roll. The odds are the same as with dice. Six cards are used, numbered one to six. They are randomly placed in six positions on the table. The roll of two dice will determine which card(s) are turned over, that shall deterine the outcome for betting purposes. With each new shooter, the cards are re-arranged. The odds are the same as conventional craps. Same method as the Agua Caliente. Two separate six-card decks, one red and one green, are used. Each shoe consists one each of ranks A, 2, 3, 4, 5, and 6. Aces count as one, all other ranks count according to its pip value. Six cards are dealt from each shoe. Two ordinary dice are thrown, one red and one green. The outcome of the dice determine which cards are turned over, which represent the roll. The odds are the same as conventional craps. Two partial decks are mixed together, each consisting of all four suits ranked ace to six. So, there are 48 cards total. Two cards are drawn without replacement. If they are the same suit, then there is no action. Otherwise, the two cards represent the roll. This is mathematically equivalent to using dice. There is also a "No Call" bet, which pays 3 to 1 on two cards of the same suit. The house edge on that bet is 6.38%. As usual with the Los Angeles county casinos, the player must also pay about a 1% fee on all bets. The following equipment is used: (A) A red die numbered with three 1's, and three 4's, (B) a blue die numbered with three 2's, and three 3's, and (C) A 36-card deck featuring all possible permutations of two dice. Two cards are drawn at random and placed face down over red and blue regions of the table. The dice are thrown. If the red die is higher then the red card is turned over and used as the roll, if the blue die is higher then the blue card is used. Note that there can be no ties. Also the blue die is irrelevant. A 1 on the red die will always lose to the blue die, and a 4 will always win. The odds are the same as conventional craps. The "Super Field" pays if both cards are the 1-1 and 6-6, in either order. Wins pay 500 to 1. The probability of winning is 0.154%, for a house edge of 22.685%. Pechanga currently follows the Barona method (at least as of 7/26/16). They have previously used other methods so please don't write in to correct me unless you have very current information. A 73-card deck is used, consisting of 12 each of cards ace to six, and one joker. Two cards are drawn to determine the roll. If the first card is the joker, there is no action, and two new cards are drawn. If the second card is the joker, it shall match the first card. The odds are the same as conventional craps. The joker side bet pays 60 FOR 1 if the first card is a joker. The probability of winning is 1.389%, for a house edge of 16.67%. The four suit bets, one for each suit, win if both cards are the suit specified, and pays 14 FOR 1. The probability of winning is 5.822%, for a house edge of 18.493%. Same procedure as Viejas, except 312 cards are in the shuffler and they call it just "craps." The Sycuan follows the same procedure as Barona. The game is dealt at a blackjack-size table called "Card Craps." I'm told a 264-card shoe is used, consisting of 44 cards each of ranks ace to six. They start with five 54-card decks (9 cards each numbered 1 to 6), and then remove one of each face (5×54-6=264), to accomodate the shuffler. Two cards are drawn to represent the roll. Due to the effect of non-replacement, the odds will be slightly different from conventional craps. The maximum win on odds bets is $1,000. If the player wishes to get that limit, with 10X odds after a pass or come bet, then he should not bet more than $10 on a pass or come bet, and $100 on a don't pass or don't come. For more information, see my page on Card Craps. Here is what I know of the odds allowed in the casinos of southern California. * The Viejas 10X odds game has a maximum odds bet of $600. "3x-4x-5x" means the player can bet 3 times his pass/come bet with a point of 4 or 10, 4 times with a 5 or 9, and 5 times with a 6 or 8. Assuming the player always takes the maximum odds, under this rule, his odds win will always be 6 times his pass line bet. The house edge column is the combined house edge between the pass/come bet and full odds. Disclaimer: The Barona Casino hired me to perform surveys of San Diego casinos for backjack, roulette, and craps. The table above summarizes my findings. It seems that Oklahoma also has card craps. Here is what little I know about it. The Winstar uses a 36-card deck, one card for each two-dice combination. It is my understanding that the cards look ordinary, except for a bar code, which corresponds to the dice roll. How the house edge for each bet is derived, in brief. Dice Control Experiments. The results of two experiments on skillful dice throwing. Dice Control Advantage. The player advantage, assuming he can influence the dice. Craps variants. Alternative rules and bets such as the Fire Bet, Crapless Craps, and Card Craps. California craps. How craps is played in California using playing cards. Play Craps. Craps game using cards at the Viejas casino in San Diego. Number of Rolls Table. Probability of a shooter lasting 1 to 200 rolls before a seven-out. Simple Craps game. My simple Java craps game. Las Vegas craps survey — The max odds bet allowed at each casino. 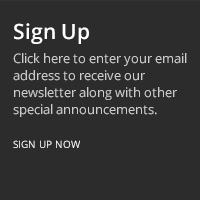 Sign Up For Updates You're Subscribed! Enter your email address below to subscribe to our weekly newsletter along with other special announcements from The Wizard of Odds!